The lead remediation process can often be a confusing and frustrating one, should you not know the necessary steps to take. 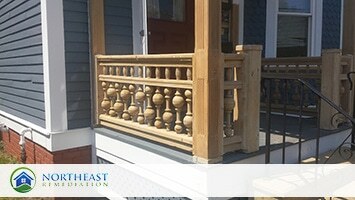 Northeast Remediation is available to answer any questions you may have in regards to the process and methods available. 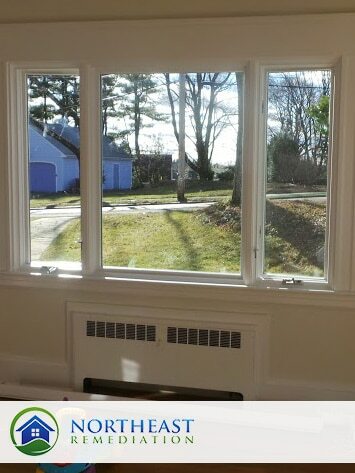 1 Obtain a lead inspection report from a Massachusetts certified lead inspector. 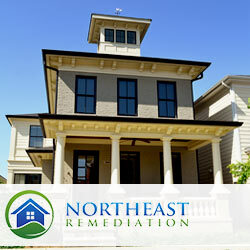 Northeast Remediation can provide a list of inspectors in your general vicinity by clicking here. (send to contact us form) All inspectors are required to provide a fair and unbiased inspection of your premises. 2 Meet with a qualified remediation professional to understand the various options available and the benefits and drawbacks of each option. From there, a detailed scope of work and quote will be created. 3 Select a qualified deleader based on not only price, but reputation, references and ability to handle your particular requirements in terms of the methodologies, scope and scale of work. It is not sensible to save a few thousand dollars on a less experienced remediation firm if you are ultimately out of your home for a longer period of time. 4Prepare the home (and the family) for deleading. You are going to be out of your home and strangers are going to be in your home with all of your belongings. It is important to select a deleader wisely and to prepare your home appropriately. If selecting Northeast Remediation, you will be provided with a dedicated online portal that will allow you to monitor your home during the deleading process. 5 Begin the deleading process. Through the Northeast Remediation online portal, you will have access to progress photos, daily updates and status reports of your project. 6 Schedule the post remediation inspection with a licensed lead inspector to gain a letter of compliance. A copy of your wipe test and compliance letter will be added to your Northeast Remediation client portal for your viewing, with easy access for your year-end tax credit. 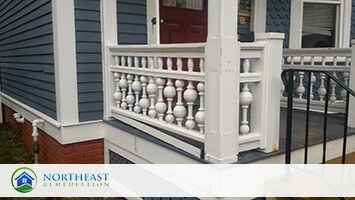 Replacement involves removing the hazardous components in your home that contain lead paint and replacing them with new parts that are lead free. For example, door frames and windows can easily be replaced. This is a great option for people that want to update certain areas of their homes, because it is a permanent solution for ridding your home of lead. Although it makes sense, it does create a large amount of lead dust, so the proper steps must be taken by professionals to ensure a safe environment. 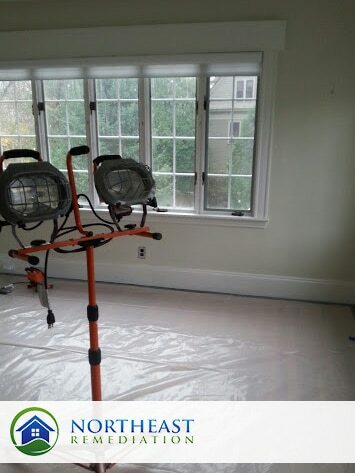 Enclosure is also offered, where a professional covers the lead based paint with a solid barrier. Examples of enclosure would be vinyl siding, drywall, plywood and tile. Wall paper is not considered an appropriate enclosure, unless it’s vinyl, because it is not dust-tight. Chipping paint will still exist in this instance, but proper protective covering has been applied so that no lead dust or paint chips can be released. 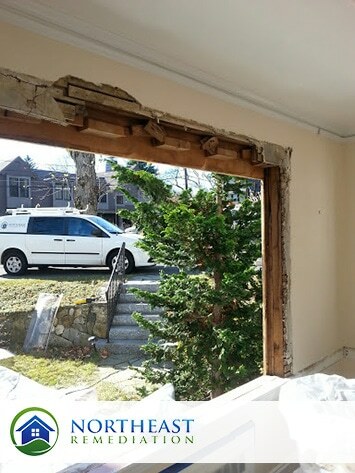 The down side to enclosure is that you have not eliminated the lead paint; you have only created a temporary fix that will need to be monitored closely. Encapsulation is another method available, which involves coating the lead-based paint so that the lead is not accessible. 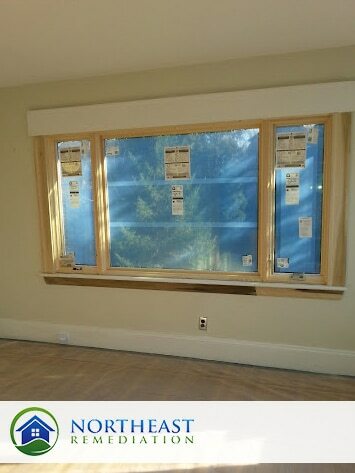 Encapsulation is best used on areas that are intact and in good condition. If the encapsulate is applied poorly, it will not be effective in keeping lead dust sealed. This method is also not considered to be a permanent solution, as the component can fall out of compliance should any damage occur to the encapsulation. Paint Removal requires the removal of lead paint off of certain walls, baseboards, doorways, and window sills. 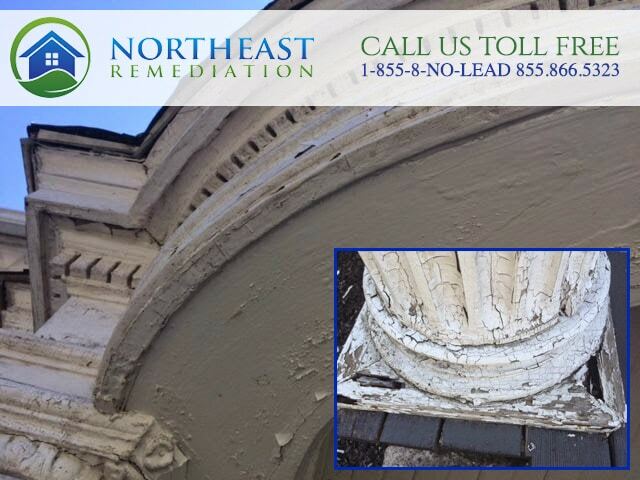 The most common way to remove lead paint is by scraping or wet scraping the area. This process completely removes all traces of lead, which is extremely beneficial, but a large amount of labor and cleanup is involved. Chemical Hand Stripping/Dipping: Another removal option is chemical hand stripping or dipping, where old paint is removed by submerging the components into a chemical bath. This is done off-site with Tustic soda acid. The bath takes four to six hours and then the part is hand sanded. For larger pieces, the lead paint is removed through the hand application of Tustic soda acid and the part is sanded to remove burrs and irregularities. Many people prefer this approach, as it helps preserve original and hard to replace woodwork. Each type of lead remediation has its advantages and disadvantages, but it is important to do your research on the topic before making a commitment. Northeast Remediation will help you select the best methodology and ensure a scope of work that you are ultimately happy with. Selecting the proper professionals and being well-informed on the different options available to you will not only help your wallet, but also your loved ones.